It's official: Lister is bringing back its most iconic sports car. 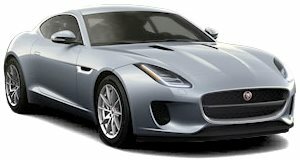 Nowadays, the UK-based sports car manufacturer Lister Motor Company is best known for tuning Jaguars such as the , and the . But there was a time when the company created its own sports cars and race cars. Its most iconic race car was the Knobbly famously driven by Stirling Moss in the 1950s. Lister to celebrate the company's 60th anniversary. Now, Lister is making an all-new reimagined version of the iconic sports car for the 21st century. A teaser image released by the company last month , but we were only given a look at the retro-inspired roadster’s side profile. Another image has been released on Lister’s Facebook page showing the front of the new Knobbly, and the design is clearly inspired by the original car. Like the original, the new Knobbly will adopt an open-top, two-seat layout and feature a side-exit exhaust, distinctive oval radiator grille, and round headlights, but the overall design looks more aggressive. Elsewhere, Lister has added new modern design elements such as carbon fiber side skirts, a carbon fiber splitter, LED headlights, and massive alloy wheels. While it’s still just a concept for now, Lister has confirmed the new Knobbly will enter production, but no time frame has been given. Presumably, it will be produced in limited numbers. Its long hood and short rear overhang suggest the new Knobbly will feature a front-mid-engined layout and rear-wheel-drive. Powertrain details haven’t been released yet, but it could utilize the Jaguar-sourced 5.0-liter V8 that powers the Thunder and LFP. In the LFP, the V8 unit has been tweaked to deliver 670 horsepower, which Lister claims makes it the fastest tuned SUV in the world. The Thunder also produces 666 hp, so the new Knobbly could have a similar power output.